Absolute hit of this summer. 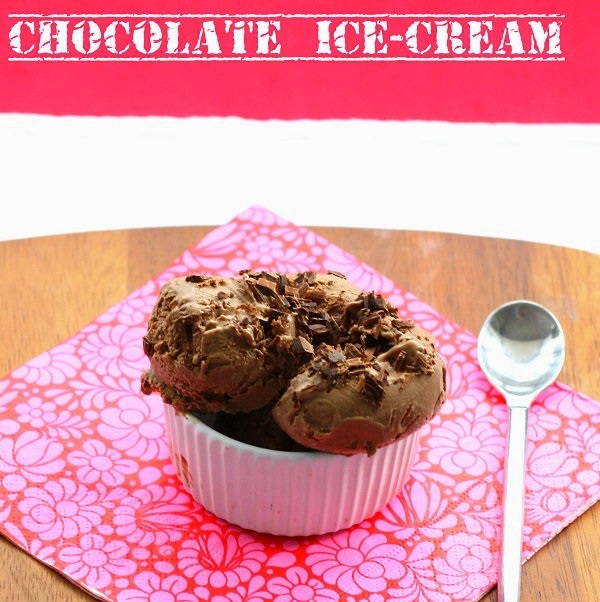 Delicious ice-cream that you can easily make at home even if you don’t have ice cream maker. I have always thought that making ice cream is very complicated and needs lots of skills. It was my debut and it all worked perfectly fine. Just follow the recipe and you will have perfect dessert for hot, summer days (I hope there are many more to come here in London). Now I'm sure there is no need for me to buy ice-cream if I can make even better by myself (not to mention carbohydrates content). · In a medium saucepan mix cream, milk and xylitol together. Heat up and stir until sugar is dissolved (do not boil). Remove from the heat. · In a medium bowl whisk the egg yolks until light and pale in colour. · Pour the eggs yolks into milk mixture and heat up stirring continuously until the mixture start thickening (do not bring to boil). Remove from heat and add broken chocolate and vanilla extract. Stir it well until chocolate melts. If the chocolate doesn’t combine well with milk blend it for couple of minutes. Let the mixture to cool down for couple of hours. · If you have ice cream maker just follow the instruction. If you don’t have it (like me) pour the mixture into plastic container that will fit into your freezer. Put it into freezer and mix (using electric mixture) every 30 minutes until ice-cream starts setting (you will probably need to do that about 4 or 5 times). It sounds lovely. One question though- the first line of the preparation mentions sugar, yet it's not in the list of ingredients? I hope I'm not missing something.